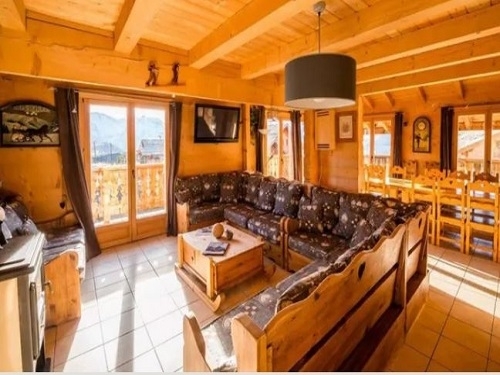 Chalet La Maitreya is a beautiful 500 year old farm house which has been completely renovated. 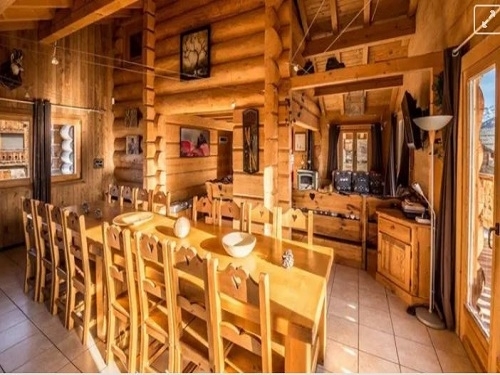 We believe our chalet is perfect for large groups or sharing as there is lots of space for everyone to enjoy their evening as they please. 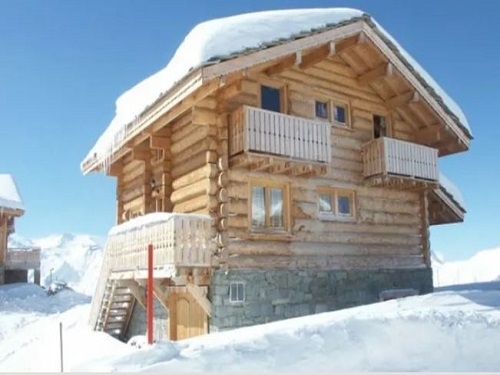 The chalet has 8 en suite bedrooms of which one triple room and one family suite. We have a spacious lounge with an open fire. On the ground floor we have a bar and dining room where James cooks fantastic three course evening meals. 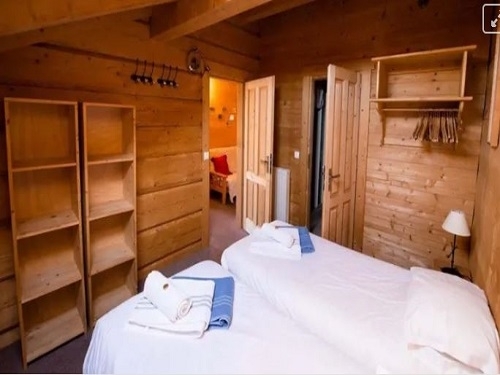 We believe our chalet is perfect for large groups of adults as there is lots of space for everyone to enjoy their evening as they please. Whether it’s sat in the hot tub watching the sunset, reading a book by the log fire or having a drink in our bar. To avoid any hassle on the day of your arrival we can arrange discounted lift passes to be ready on your arrival. We also assist you with ski hire and transfers. A stay includes: * Sumptuous continental breakfast with fresh fruit, eggs, different kinds of bread and French pastries, savory and sweet toppings, juices, coffee and tea. * Delicious 3-course dinner with house wine included. On the chefs night off we will drive you to a restaurant in the village. * A drink on the house with nibbles before dinner by the fire. * Every afternoon a nice home baked cake will be ready for you after skiing. 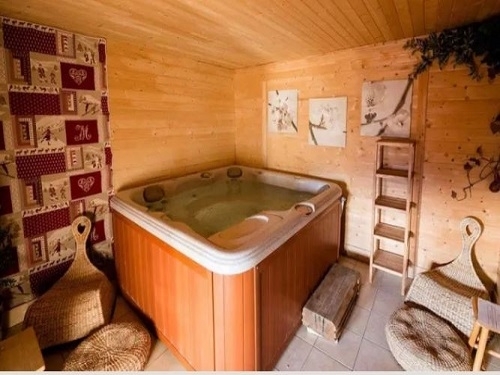 * Use of outdoor hot tub with stunning view and sauna, use of bathrobes. * Shuttle service to and from the cable car. * Ski locker service in the ski shop. * Daily maid service. * Towels, hairdryer and toiletries in your room. * Free Wi-Fi in every room. * Discounts on lift passes. * Discounts on ski hire. * DVD/Wii room.